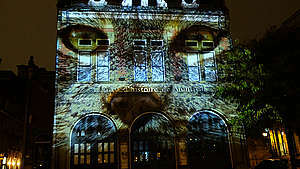 November 3, 2018 (MONTREAL) – Tonight, as part of the International Day of Action for the Boreal Forest, Greenpeace presented a major artistic projection on the facade of the Centre d’histoire de Montréal, located in Old Montreal. The artwork was not only a virtual immersion in the heart of the Canadian Boreal forest, it also offered a simulation experience allowing people to interact directly with the Northern Lights projected on the wall. The event, open to the public, was accompanied by a musical performance by the Montreal artist Aliocha, nominated at the ADISQ (Quebec Association for the Recording, Concert and Video Industries) in the categories “best English-language album” and “Quebec artist of the year with the most success outside of Quebec”. This interactive projection was created by HUB Studio, a local multimedia company that presents itself as “at the crossroads of the arts, design and technology”. The Quebec actress Charlotte Aubin, well known for her roles in Blue Moon, Those Who Make Revolution Halfway Only Dig Their Own Graves and the actor Marc-André Grondin (CRAZY, Goon, The First Day of the Rest of your Life) both narrated the film of the projection. 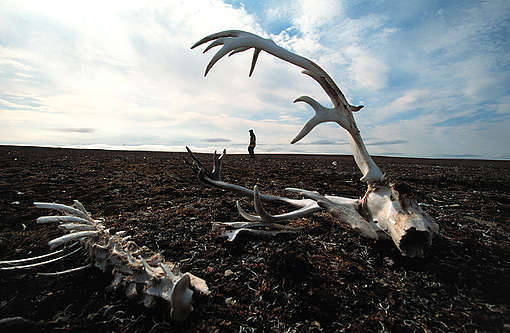 A recent study, the results of which were discussed this week at a caribou conference held in Ottawa, shows that the woodland caribou population, a barometer of Boreal forest health, is declining. 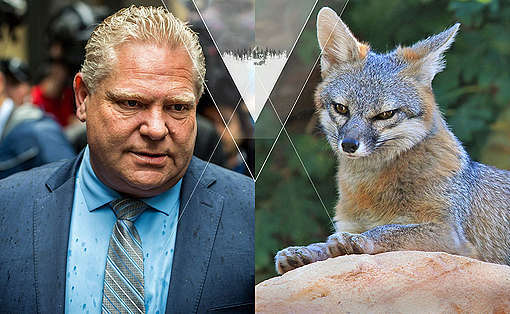 The federal environment commissioner concluded this year that the Department of Environment and Climate Change Canada has not “provided adequate leadership and effective coordination of the measures needed to achieve Canada’s international goals for biodiversity. 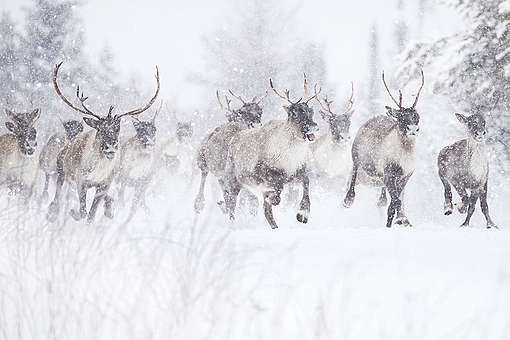 ” In her report, the Commissioner specifically cites the woodland caribou as a species that has suffered “many delays” in implementing protections under the Species at Risk Act.